Dr. Glenn Krieger graduated dental school in 1992, and since that time has been committed to staying on top of the newest and most innovative aspects of general dentistry. The Academy of General Dentistry bestowed the award of “Fellowship” upon Dr. Krieger in 2001, after only 9 years in practice. 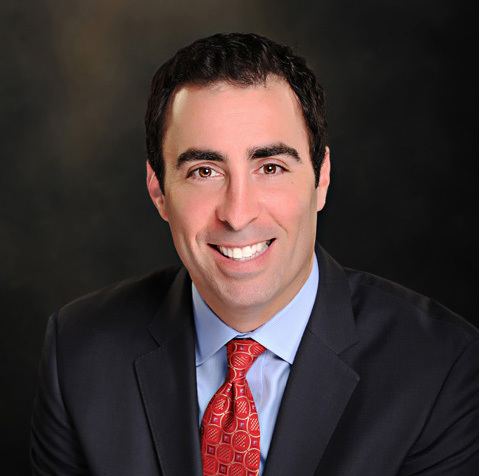 In 2012, after 20 years as a restorative dentist, he followed his dream of becoming an orthodontist. Dr. Krieger is a full-time practicing clinician, so he understands the challenges facing “everyday dentists” with “everyday challenges”. He took a 6 day/week insurance dependent practice to a 3 1/2 day/week patient centered practice with a higher gross and net production in less than 4 years, learning from some of the best teachers in dentistry, marketing and practice management along the way. While continuously evaluating and refining his techniques with patients, Dr. Krieger has been named one of the “Top Clinicians in CE” 9 times by Dentistry Today magazine and has helped thousands of dentists better understand the role clinical photography can play in making their practices healthier. He has published chapters in textbooks as well as having featured articles in Dentistry Today and Dental Economics and has been invited to lecture over 100 times around North America. The goal of the Krieger Continuum is to provide the highest quality products for all clinicians and their teams with an emphasis on practice growth, better team building and healthier patient relationships. Whether your practice sees 5 or 150 patients a day, our products can help you build the practice of your dreams. Our mission to help dental teams started with the arrival of digital photography to the world of dentistry. Dr. Krieger merged his knowledge of traditional photographic technique with the advantages of digital cameras and technology. He redesigned the concept of digital case presentation by making the patient the center of the decision-making process using exceptional clinical images as a support tool. With a low stress, non-confrontational approach towards digital case presentation, the concept of “digital co-diagnosis” was born. This was a radical departure from traditional digital case presentation, and has been pioneered and taught by Dr. Krieger. However, the centerpiece of this process is the clinician’s ability to capture exceptional (not just adequate) clinical images. Because most clinicians have never been taught how to quickly and easily capture a full set of images, Dr. Krieger started by teaching hands-on clinical photography courses. As word spread of his revolutionary techniques, his lecture schedule started to grow. His students began to ask if he would create a DVD of these techniques for use as a “refresher” for both the doctor and staff. This led to the first of three DVDs related to choosing, setting up and using a clinical camera as well as the process of database creation and image management and presentation. Attendees also began to ask about mirror and retractors that might make image capture easier. Dr. Krieger set about creating mirrors and retractors that dovetailed with his approach to capturing images. 3 years and 8 prototypes later, Dr. Krieger introduced what would become one of the most highly rated mirror and retractor systems available today. While teaching, Dr. Krieger found that many students wanted more hands-on time with him learning both the verbal and technological skills necessary to implement the concept of “digital co-diagnosis” in their practices. Dr. Krieger created his unparalleled 2-day, hands-on digital co diagnosis workshop and those who have attended it have reported considerable increases in case acceptance, greater patient partnerships and energized dental teams.